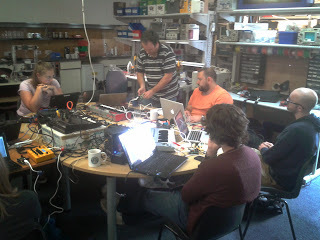 We had a great time over the weekend at the BuildBrighton MIDI workshop. Not only did we cover the basics of Arduino programming, but there was even time to go through some electronics fundamentals – switches, resistors, potentiometers, voltage dividers and more! The afternoon session was pretty awesome – once we’d de-mystified the MIDI protocol (note on, note off messages plus some excellent midi-thru examples from Jason, creating chord builders and arpeggiators) we got down to the serious business of making some noise! It’d be great to say we had a jam and made some music, but we didn’t really get much further than making cool noises, chord changes and whooshing arpeggios. 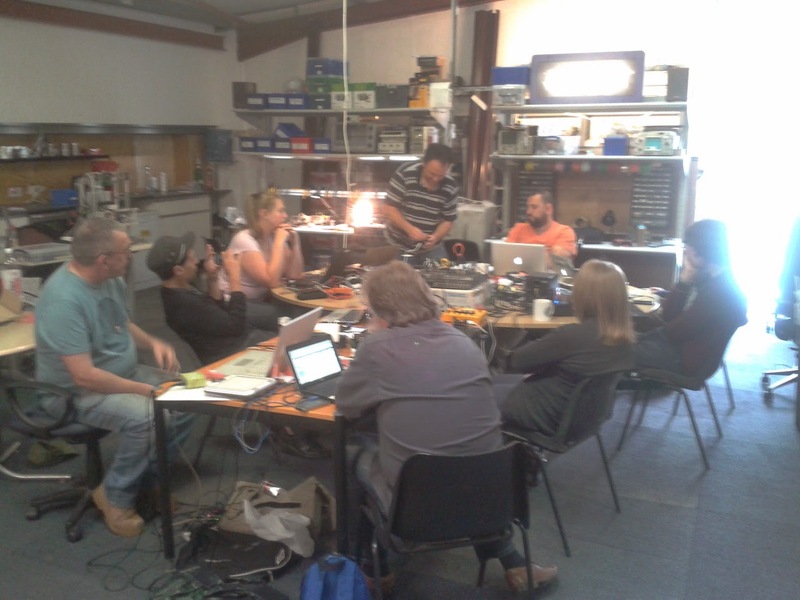 But everyone on the course came up with their own unique ideas for implementing MIDI. At the start of the day, the most ambitious idea was a keyboard synth clone or a midi drumkit. 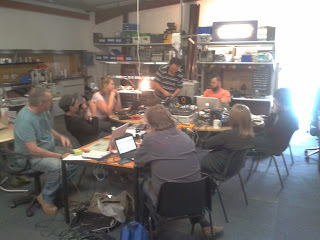 After the workshop, people were talking about light-to-sound modules, interactive art installations – even MIDI Flip-Flops. That’s what the workshop was really always about!